With an updated take on the traditional recliner sectional, the Alberta marries old fashioned comfort with current style. 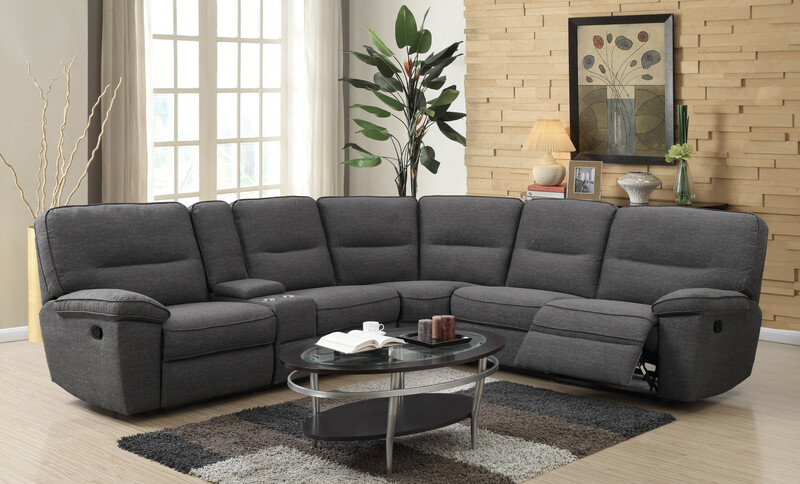 Contemporary charcoal gray, piped edging, and a pillow design reminiscent of tufting, with a modern twist, all come together to create this transitional set. The design will anchor your room and the comfort will ensure it is everyone’s favorite place to be.